Loved reading this story as well as the message. Thanks Sandi….my brave friend! say is valuable and everything. But think of if you added some great photos or videos to give your posts more, “pop”! Good idea, Wax! 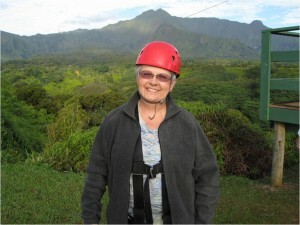 Here are two photos of the zip-lining adventure. More coming. Thanks for your comment! Good to know you are enjoying the blog! I’ll check on the Explorer issues. Happy New Year!